This nice looking Austrian-Alpine style chalet is located on top of an artificial waterfall on the Gairaut hill in Nice, France. 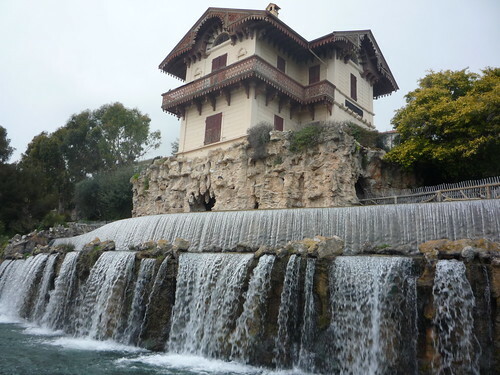 Known as Cascade de Gairaut, the small waterfall and wooden Chalet, commemorated the arrival of Vésubie Aqueduct in Nice in 1883. The entire site is landscaped with fake stalactites caves and reinforced concrete rubble imitating branches of wood. The water channel was built to over come shortage of water in the city and its completion at that time was considered an engineering feat. 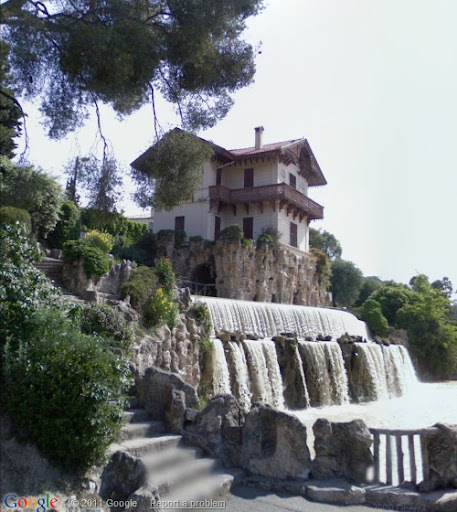 The waterfall also serves to oxygenate the water. 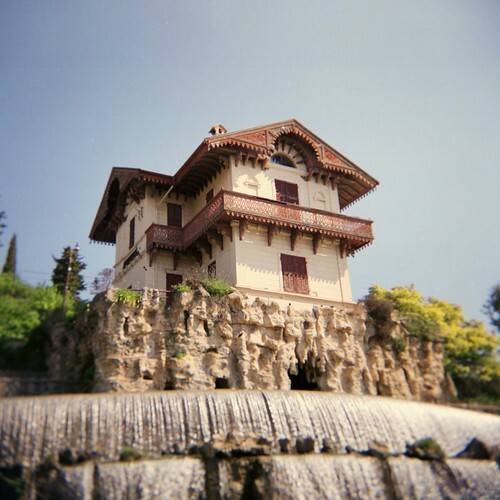 Because of its position on a mountain slope, the site offers a nice panoramic view of Nice and the coastline and it is a major tourist attraction.